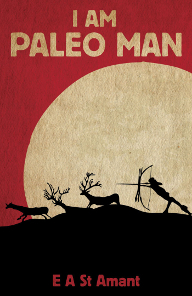 A guide to modern life-management in the Paleolithic and individualistic traditions. Sections include, what we know and how we know it. A short history of hunter-gatherers' way of life. Habit and moral behavior in the 21st century based on our long-evolved human nature. A defense of the paleo diet and individualism, and why they are mutually self-fortifying, and a review of over 50 must-read books for you to understand how and why we got from there (Homo-Erectus) to here (modern man) in a mere 30,000 years.